If you run a Windows system like most users do, you must have trouble in encoding Apple ProRes on Windows PC. Now you can read the following article for a help. As a Windows system user, we can’t avoid receiving some edited Apple ProRes codec videos from FCP --- a professional editor produced by Apple Company. In fact, we all know that Windows PC can’t accept these types of videos, they are incompatible with each other. So what should we do to encode Apple ProRes on Windows PC? Today, I’ve found an alternative workflow that is semi-automated and cheap using FFMPEG---This is a command line encoder and decoder for many video formats including ProRes (or more specifically, a version called FFMBC with extra features for broadcast formats) and a neat Python script to bridge it with Redcine X Pro, or any other batch media encoder like Adobe Media Encoder or Sorrenson Squeeze. If you want to transcode multiple files without supervision, or at least minimal supervision, maybe it’s a good choice for you. Step 1. Download the RedToProRes. Open it up in Komodo Edit and look at the settings area. You’ll need to edit this gingerly. Do not remove the r or the single quotes, but edit your path to FFMBC. What follows is mostly command switches for FFMBC: 16 threads is acceptable on a quadcore machine, the input which is filled in automatically, the ProRes codec and profile .You can encode Proxy, LT, Standard, HQ, and 4444. Step 3. 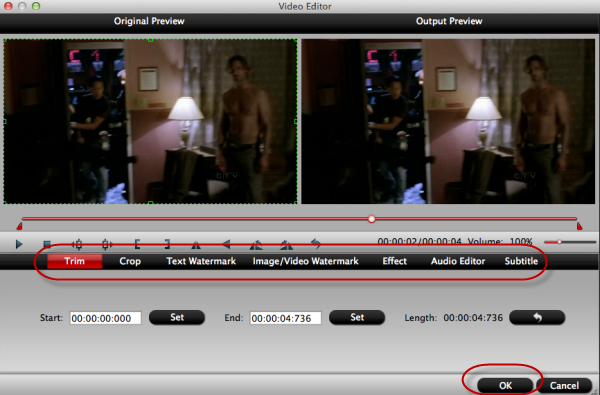 Open Redcine X Pro and create the following export preset with these compression settings. Step 5. 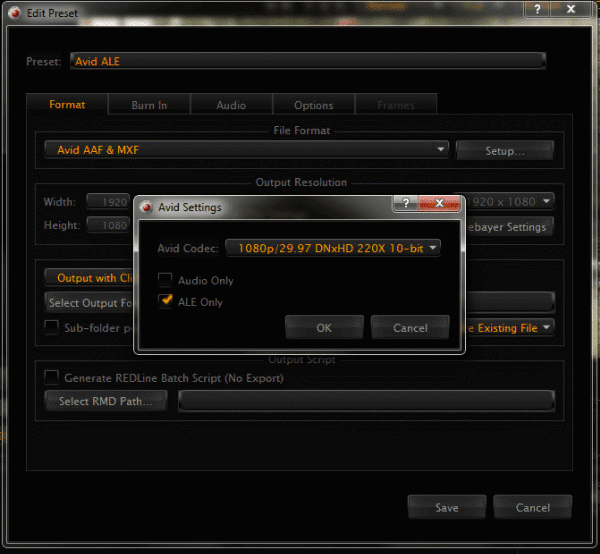 After the encoding is finished, create an export preset in Redcine X Pro with the file format Avid AAF & MXF. 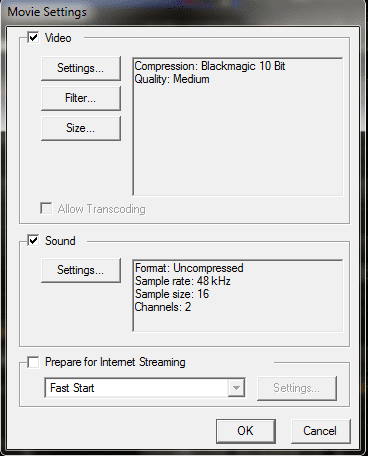 Click Setup and select ALE Only and ignore the codec quality. Process the same batch of files in the previous step. Step 6. Open QtChange and on the left click Source Folder. Find the folder containing your ProRes files. 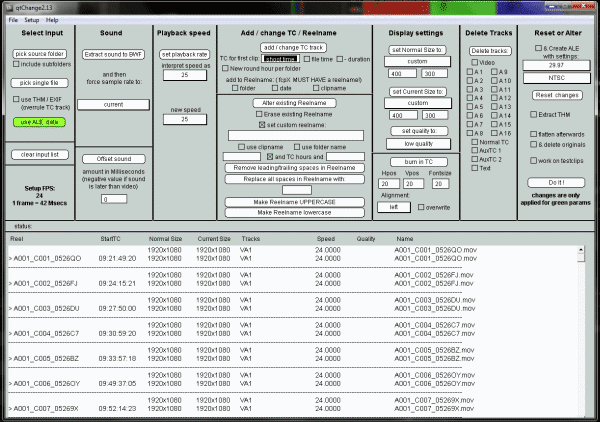 Next click Use ALE Data and load the ALE file we created in the previous step .Then that’s are all set! 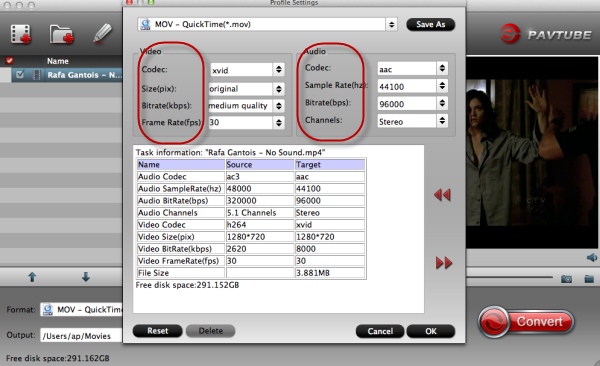 The operation of encoding codec is complex for our primary users. This two encoders’ version can’t be always compatible with update of our Windows system so we can’t ensure it can work all the time. Safety is not guaranteed, right? 1. Some simple editing you can also do here:'Trim''Crop''Subtitle'etc. 2. 'Settings' button also offered for your output format.